The Villa Group refers to a leading hospitality, leisure, vacation ownership and resort conglomerate offering hotel, timeshare and leisure services in top destinations in Mexico. The ARDA (American Resort Development Association) affiliated conglomerate was founded in 1982 as a marketing company, and currently owns, operates, maintains, designs, constructs, markets and finances resorts, spas, timeshare condominiums, real estate and vacation ownership products. 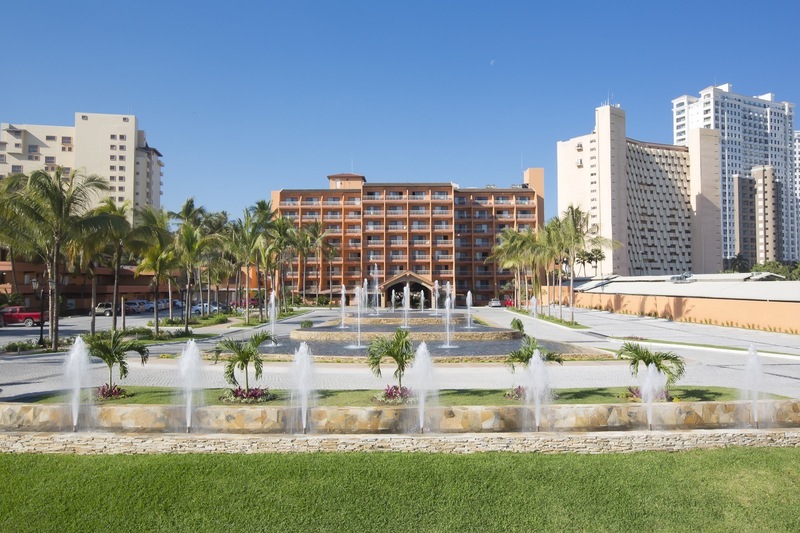 Amongst other leisure and hospitality products, the Villa Group Resorts is renowned for its Villa del Palmar, Villa del Arco, Villa la Estancia and Villa Preferred Access brands. The origins of the Villa Group Resorts can be traced to a successful marketing company first formed in 1982. The Villa Group emerged out of a sound business initiative to market, promote and sell timeshare and leisure products in Mexico, promoting its first purpose built vacation property in 1984 in Puerto Vallarta, called Villa de Mar (which still operates today). 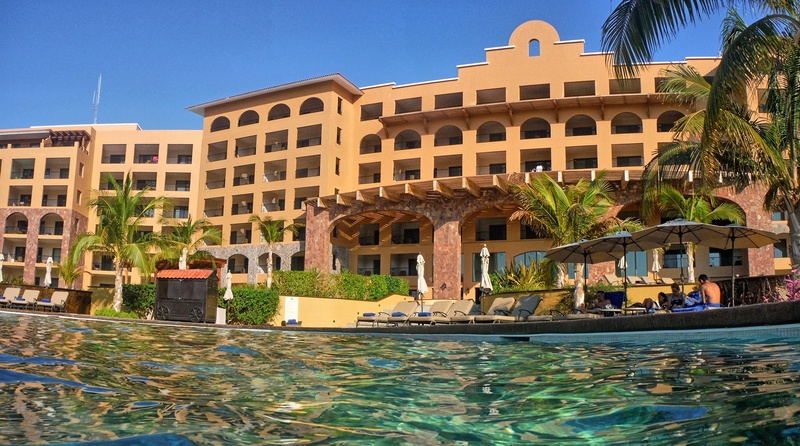 Following the rapid success of Villa del Mar, the Villa Group Resorts extended its investment to buy the adjacent land to build what is now Villa del Palmar Beach Resort & Spa Puerto Vallarta, leading the way for a chain of Villa Group resorts in other destinations in Mexico, namely, Cabo San Lucas, Cancun and Loreto. 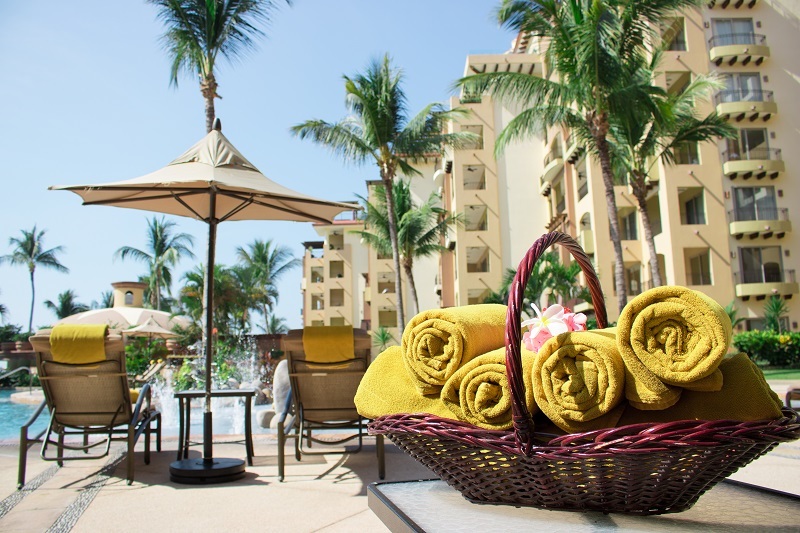 Over the years, the Villa del Palmar brand developed to include full hotel services and spas for timeshare members and hotel guests alike, becoming the world class chain of resorts that it is today. Nowadays, you will find a Villa Group resorts in Puerto Vallarta, Riviera Nayarit, Cabo San Lucas, Cancun and Loreto where you can also purchase full and fractional ownership in addition to vacation ownership. A 131 suite timeshare complex with swimming pool, outdoor Jacuzzis and common area. Joined to Villa del Palmar Beach Resort & Spa by the resort’s Gym and Bay Breeze Spa. This resort is located within the popular hotel zone in Puerto Vallarta between the Marina and Downtown boasting 431 en suite guest rooms and suites. It offers direct access to a sandy beach with 3 freeform outdoor swimming pools, slide and rock garden waterfall. There are three restaurants and a deli. All inclusive packages are available for vacation owners and guests alike. Just north of Puerto Vallarta, Villa del Palmar Flamingos is located in Nuevo Vallarta, Riviera Nayarit. 275 elegantly-appointed suites with air conditioning all come with private balconies and/or terraces overlooking the ocean or the resort complex that boasts a multi-level pool and a range of restaurants. The luxurious and relaxing Tatewari Spa joins Villa del Palmar Flamingos with Villa la Estancia. Available to Villa Group timeshare members and hotel guests. A 4 diamond resort dedicated to luxury and lavish details, Villa la Estancia boasts 245 suites including elite penthouses and its own exclusive pools and restaurants. Full and fractional owners and hotel guests can enjoy all the facilities of Villa la Estancia as well as those of Villa del Palmar Flamingos. Villa del Palmar in Cabo San Lucas is a family resort, ideally located within leisurely walking distance of downtown Cabo San Lucas. It claims 460 recently renovated suites and villas with a beautiful beach and outdoor pools, including the Willy the Whale slide. It is a great family resort with a full activities program, great dining and stunning views of the ocean and El Arco. The Desert Spa on three floors unites Villa del Palmar with its sister resorts, Villa del Arco and Villa la Estancia. Available to Villa Group timeshare members and hotel guests. Villa del Arco is a high-end family resort where elegant details prevail in each of its 217 spacious suites and villas as well as the finely designed common areas. The outdoor pools, views and excellent service are exquisite features, including deletable cuisine and a pirate ship restaurant. A classy atmosphere has been created for elegant vacations at Villa del Arco. Also open to Villa Preferred Access members and hotel guests. Like the Villa la Estancia in Puerto Vallarta, this is a five star hotel with the option for full and fractional ownership and hotel guests. The general tenor of this hotel is one of elegance, grace and class. Attention to detail can be seen at every turn. Guests and owners can enjoy exclusive pools and facilities as well as access to the opulent Desert Spa. The stunning Villa del Palmar resort built at the Islands of Loreto is a wonderful example of luxury in a tranquil environment. Located within a protected marine reserve, Villa del Palmar at the Islands of Loreto is dedicated to environmentally-friendly initiatives, bringing nature and luxury together in harmony. The latest addition is the golf course to be opened in December 2014, designed by environmentally conscious golf architect Rees Jones. The Villa del Palmar resort in Cancun is an incredible example of bridging fine luxury and family friendly facilities. The resort is located away from all the noise and bustle of the hotel strip in an exclusive beach area with view of Isla Mujeres on the skyline. Four gourmet a la carte restaurants, a buffet terrace restaurant, two snack bars and a deli complement large swimming pools, spa, gym and an extensive activities program. Rooms are elegantly appointed and spacious with ocean or garden views. In addition to developing and operating vacation resorts in top destinations in Mexico, the Villa Group have a vacation ownership division that offers timeshare membership, fractional ownership and full real estate opportunities within the complexes it develops. Villa Group timeshare is distinguished by its current vacation ownership product called Villa Preferred Access, which is a points based timeshare program whereby timeshare owners buy points that can be used like currency. Villa Group timeshare points can be applied towards accommodations in any of the resorts operated by the Villa Group as well as for other products. For example, Villa Preferred Access points can be used to pay for all inclusive meal plans, spa services and many other prepaid optional products that make vacations all the more special. Villa Group timeshare products are available in Puerto Vallarta, Riviera Nayarit, Cabo San Lucas, Cancun and Loreto. Villa Group timeshare owners are able to exchange their timeshare at their “home” resort for any of the resorts operated under the Villa Preferred Access program. Universal Vacation Club (UVC) is an affiliated mutual benefit company that supports Villa Group timeshare members with these kinds of exchanges with the support of Resortcom. In this way, Villa Group timeshare owners can use their membership in various destinations throughout Mexico, such as those mentioned above. For international exchanges, Interval International provides services for Villa Group timeshare owners. Interval International deals with over 2800 resort all over the world in 80 or so different countries, offering the opportunity for Villa Group vacation owners to experience other parts of the world. The Villa Group, alongside UVC and Resortcom, is a primary patron for the Eagles’ Wings Foundation. The Eagle’s Wings foundation is a charitable organization founded in 1999 by then UVC board member, Jim McCarthy to provide assistance to the poorest communities found in the vacation destinations where the Villa Group opened hotels and resorts as a means of “giving back” to the community. The non-profit organization has a number of different fund raising programs to support other organized charities in Mexico as well as sponsor schools and orphanages.